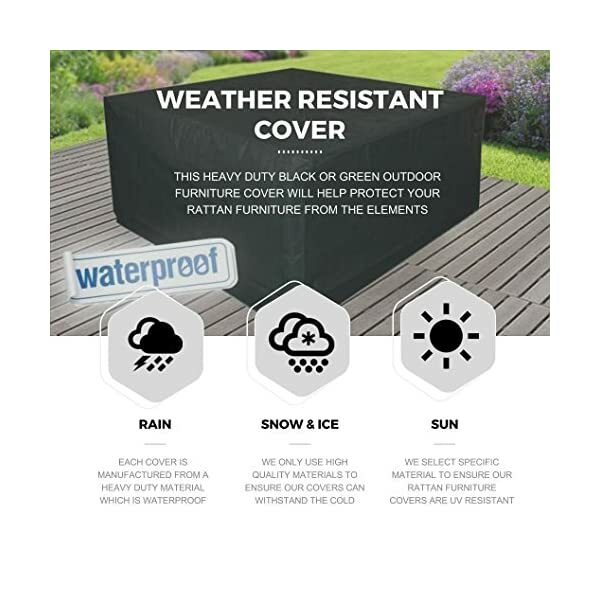 SUPPLIED WITH A HEAVY DUTY WEATHER RESISTANT COVER. 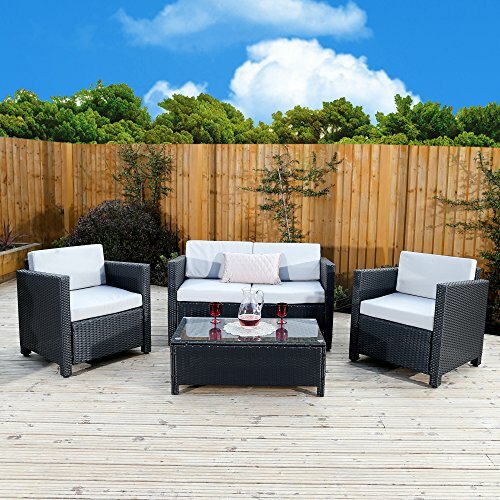 This rattan furniture set is supplied with a tailor made waterproof cover, which has been specifically manufactured to fit this rattan furniture set. 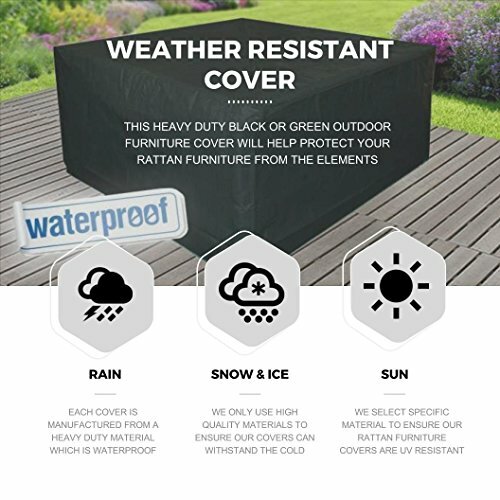 Constructed from a heavy duty waterproof material and retaining rope, this cover will help protect this rattan set from the elements. 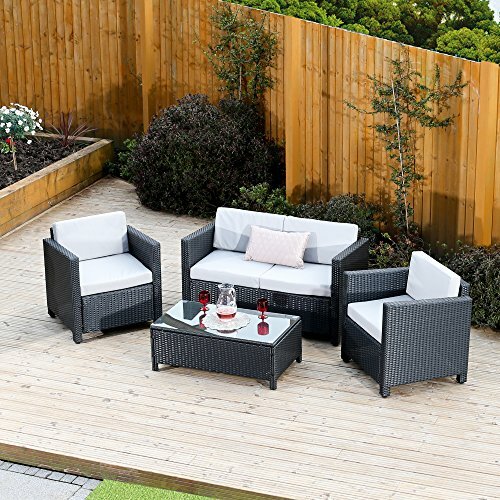 This Abreo brand rattan seats up to 4 people – Featuring a Two Seat Sofa as well as Two Chairs and a Coffee Table with Tempered Safety Glass. 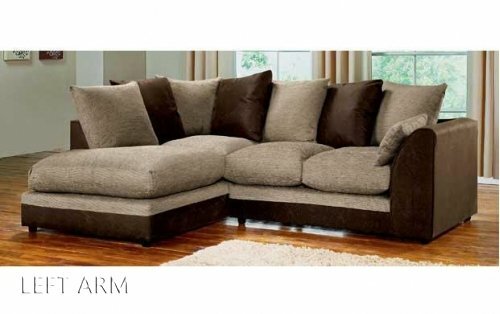 Showerproof Cushions which have zipped fastening so they are easily removed and washable if required. 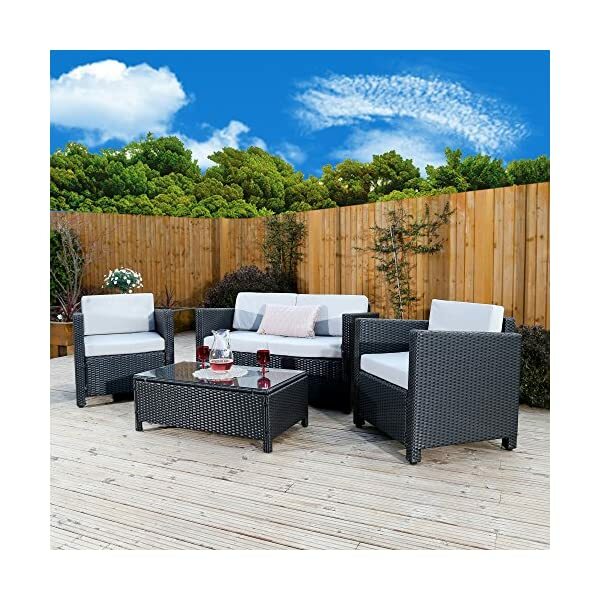 This Abreo brand rattan is Low maintenance garden furniture made from Poly rattan which is dirt resistant, easy to clean and UV Protection. Simply wipe with a damp cloth. 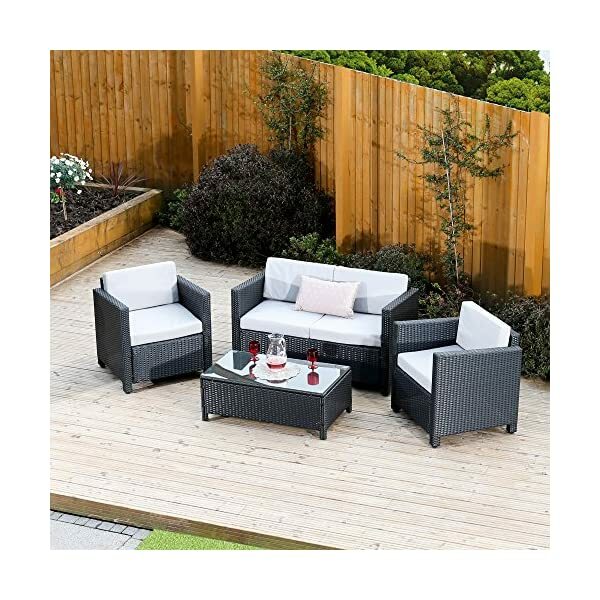 Suitable for Indoor and Outdoor Use with a Comfortable and, Sturdy Design. 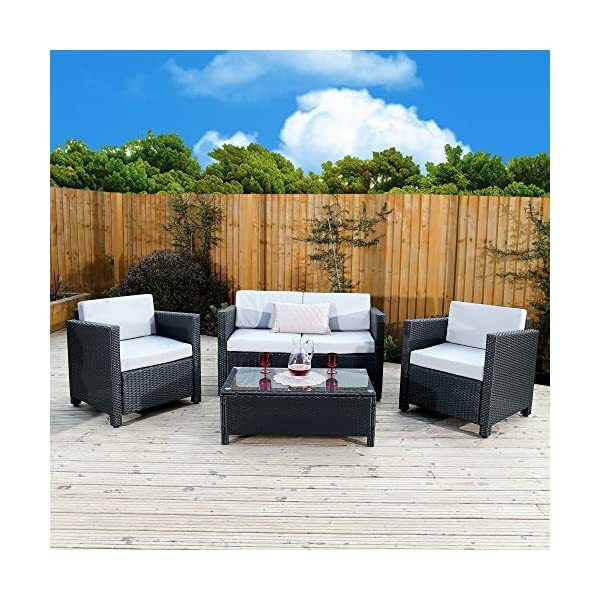 The Images are the best true representation of how the set looks, it must be noted colour can vary due to lighting and the screen monitor your viewing from. 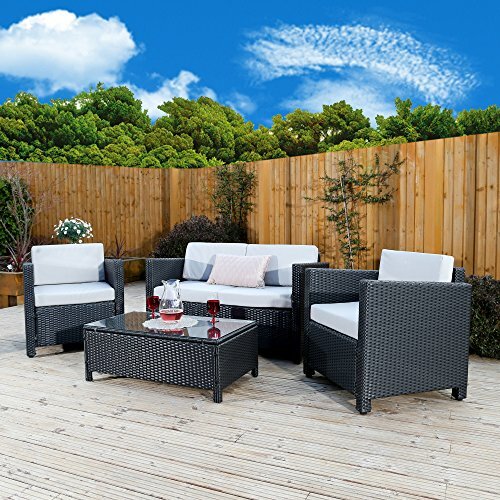 This Abreo Rattan Garden Furniture comes with instructions for self-assembly. 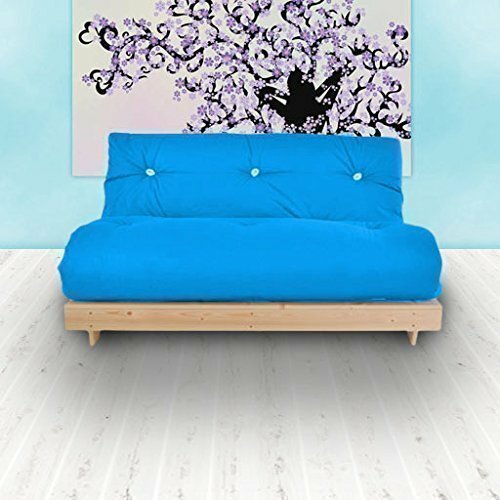 This Set includes-1x 2 Seat Sofa, 2x Chairs, Coffee Table, Seat cushion and back cushion, 1 x Tempered Safety Glass Top. 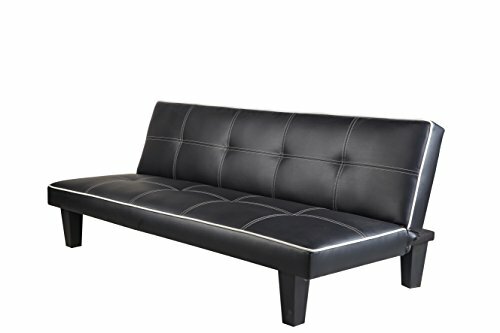 FULLY CERTIFIED FOR SAFETY AND PEACE OF MIND. 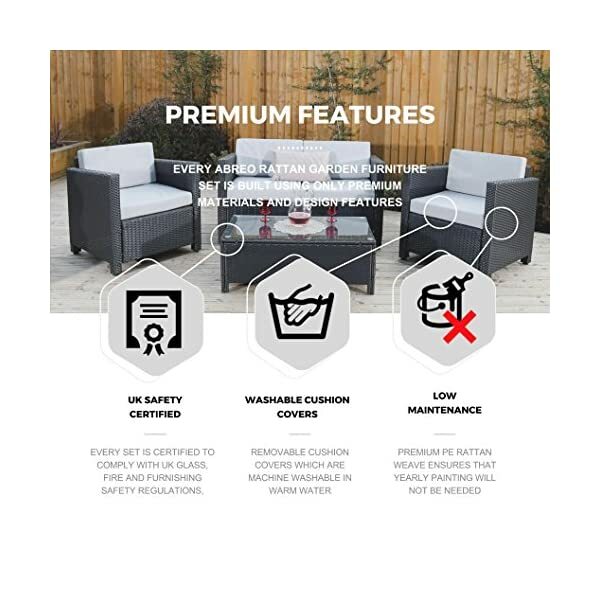 You have no need to worry, this furniture set has been tested and certified to comply with UK Furniture and Furnishings Fire and Safety Regulations. 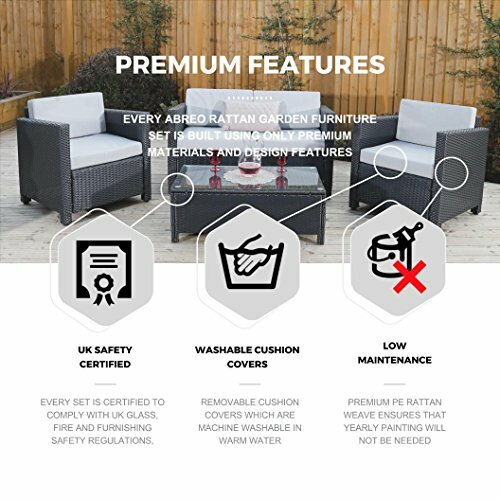 As one of the UK’s leading rattan garden furniture importers we also have a dedicated customer service team with years of experience dealing directly with our happy customers, to deal with any of your queries.